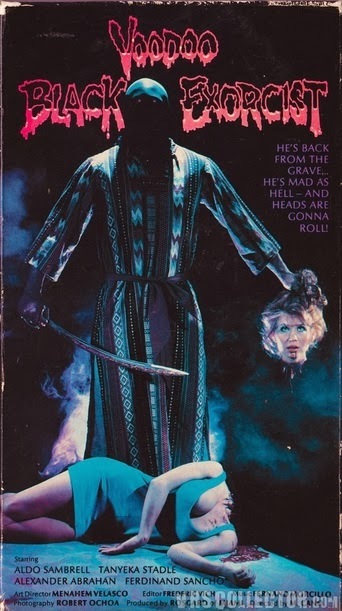 Rupert Pupkin Speaks: Favorite Underrated Horror - Joe Gibson ""
My list is weighted towards stuff I saw at the Drafthouse in the last year, so I can't really take credit for having eclectic tastes or anything like that. 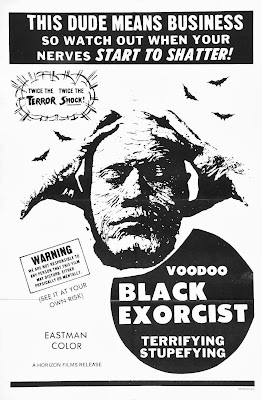 But I figure these movies could use the attention regardless of where it comes from (especially Voodoo Black Exorcist!). Probably the one Val Lewton horror movie that I see getting the short shrift. It's actually really good, though, and Richard Dix is one of the all-time great screen villains, just a perfect picture of authority gone wrong. 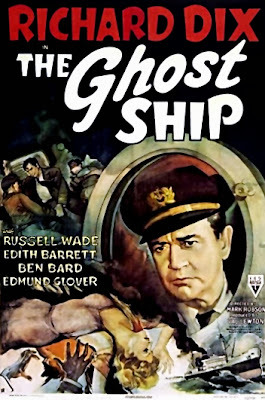 I know it's the Halloween season, but don't let the fact that there isn't an actual ghost ship in the movie spoil the fun. 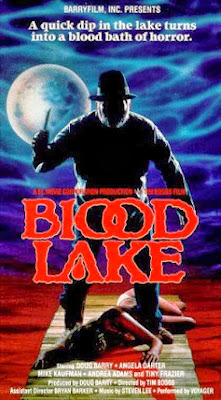 VHS horror movies are not my bag at all, so I was as shocked as I was pleased to find this one holding my attention throughout. Except, of course, when there was actual horror going on. The rest of the time, though, it's an almost verite-like look at inarticulate teenagers hanging out at a lake, going water-skiing, and playing Quarters. If anyone reading this can track down Little Tony, tell him I said hey. As disreputable as can be, but with a genuine emotional core that never leads quite where you expect. 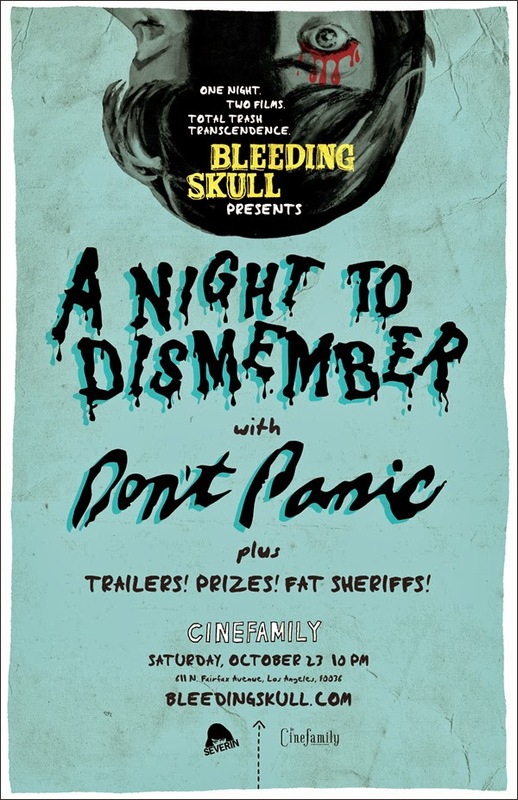 Lon Chaney Jr. has a magnificent monologue late in the film during which he comes to tears, and viewers might be forgiven for joining him. It's also hysterically and grimly funny in the best Addams-Family-esque tradition. This is one of those gems that justify countless hours spent in front of low-grade schlock (if such a thing were necessary to justify, which of course isn't the case). Another Bob Clark masterpiece that explores the dynamics of the American family, in this case one that's being torn apart by the after-effects of the Vietnam War. That strong sense of subtext seems to be a common factor in most of my favorite horror movies, especially the more famous ones - and this one definitely deserves to be more famous. 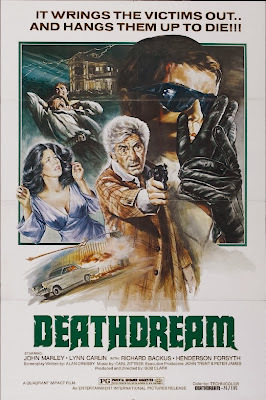 Of all the exploitation auteurs, I don't know if any have as distinctive a style as Doris Wishman (she also directed Double Agent 73, horrific for completely different reasons). The star of the show here is the disjointed authoritarian narration, which is the closest thing the filmmakers have to bring about any kind of narrative coherence. It doesn't work, but it's infectiously fun to watch the guy try. I don't know if this can strictly be called a horror movie, but it's got Lon Chaney in his only speaking role, and it's a remake of one of his silent thrillers made with director Tod Browning. As much as I love Chaney, he's overshadowed here by Mr. Harry Earles, who as in Browning's version plays a pint-sized sociopath with a penchant for disguising himself as a baby when it suits his purposes. The advent of sound allows Earles to bring previously only hinted-at depths to his character, making him alternately hilarious and terrifying. My favorite scene is when he's relating the story of how a botched robbery the night before turned to murder - "'Please, spare my life! '", he gleefully quotes his victim. Those who only know him as the sweetheart in Freaks are in for a shock. Klaus Kinski as a demented Nazi murderer (he's a murderer who's also a Nazi, not a killer who targets Nazis). 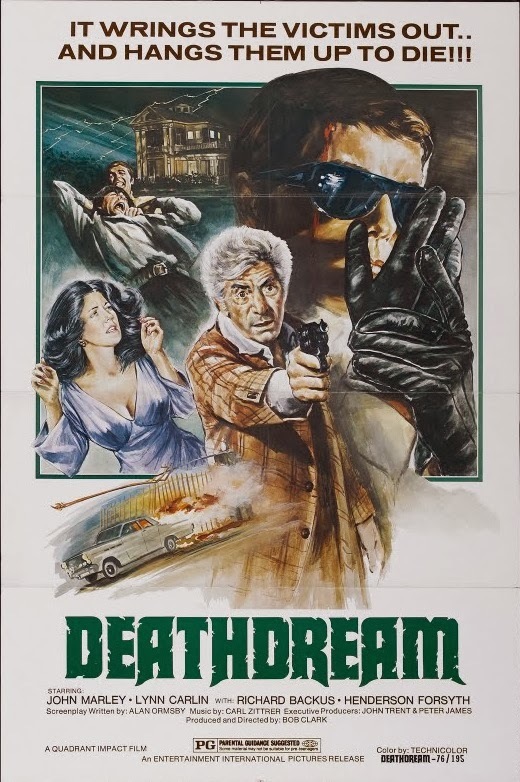 I probably shouldn't have to say anything else, but in the interest of good fun I guess I will - Apart from Kinski, this is a fun, claustrophobic little chiller, one that was designed to take place entirely in one apartment building. I'm a sucker for confined chamber pieces, so an unhinged Kinski performance as a centerpiece brings it into all-time-great territory for me. I like Voodoo Black Exorcist, but how do you expect to sell anyone on it if you don't mention the ridiculous beheading?